All-female Celtic super-group Cherish the Ladies returns with their award-winning blend of virtuosic musicianship, captivating vocals and stunning step dancing. 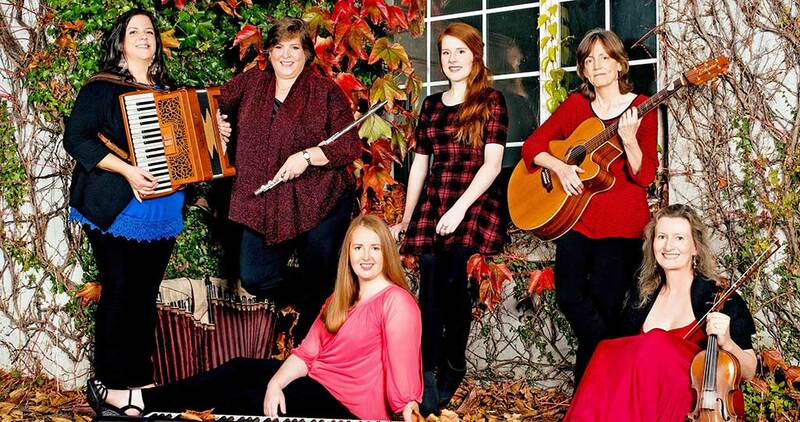 Under the leadership of All-Ireland flute and whistle champion Joanie Madden, Cherish the Ladies have played the White House and the Olympics, recorded 17 acclaimed albums and brought the best of Irish music, dance and humor to the world! The Sheldon balcony is NOT wheelchair accessible. Online purchases for wheelchair accessible seating at The Sheldon are limited to two tickets (wheelchair + companion). Patrons with more specific needs or who need more than two tickets in an accessible area should contact The Sheldon at 314-533-9900. Contact The Sheldon in advance to reserve an accessible parking spot on The Sheldon’s west parking lot. Click here to view the Concert Hall seating chart in a new window. A street level entrance is available, with an elevator to the 2nd, 3rd and 4th floors of the building. CONCERT HALL: The Sheldon balcony is NOT wheelchair accessible. Accessible seating is located at the rear of the Orchestra level. For events with General Admission (open) seating, please see an usher or the box office when you arrive at The Sheldon to arrange for a seating location, or call The Sheldon at 314-533-9900 to reserve an accessible location in advance. Online purchases for wheelchair accessible seating in the Concert Hall are limited to two tickets (wheelchair + companion). Patrons with more specific needs or who need more than two tickets in an accessible area should contact The Sheldon at 314-533-9900. BALLROOM & LOUIS SPIERING ROOM: These spaces are accessible via elevator and do not generally require special ticketing, unless specifically noted. Doors to the building generally open 1 hour prior to performance time. Will Call is generally available at that time.